The Morgan Motor Company is bringing back an iconic Routemaster bus – the second-to-last edition to have been withdrawn from service – back to the public at events throughout 2018. 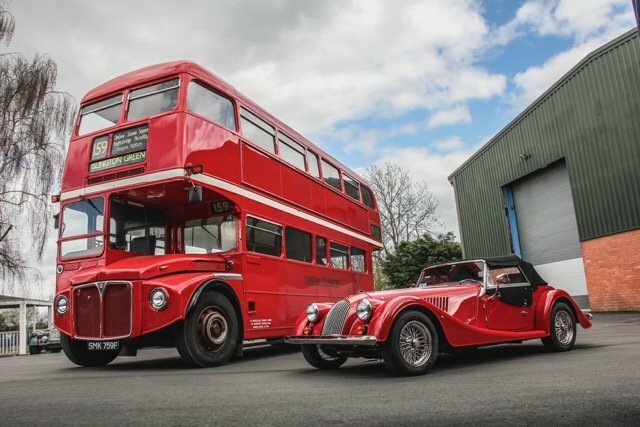 Manufactured, like the first Morgan Plus 8, in 1968 and delivered for its first service in January of that year, this Routemaster – registration SMK 759F – has clocked over 1.5 million miles during its lifetime. The vehicle was withdrawn from service after 44 years and was given an admirable send-off on 9th December 2005. Crowds gathered along the 159 bus route, from Marble Arch to Brixton, as it took its final journey. Morgan Motor Company has since acquired the bus, which is in incredible condition and work is underway to make sympathetic conversions. Preserving its characteristics and many of its original features, the Routemaster will share 50th anniversary celebrations with the Plus 8 and be an accomplice at multiple events for Morgan throughout 2018, showcasing the iconic features of the Morgan brand. The Malvern-based company is renowned for its hand-crafted vehicles, true craftsmanship that can be transferred, therefore it is fitting that all designs for the bus as well as enhancements will all be carried out in-house. This bus, RML2759, features a 7.7-litre Iveco diesel engine. Its sister vehicle and very last of its kind to be taken out of service can be found on display at the London Bus Museum at Brooklands.